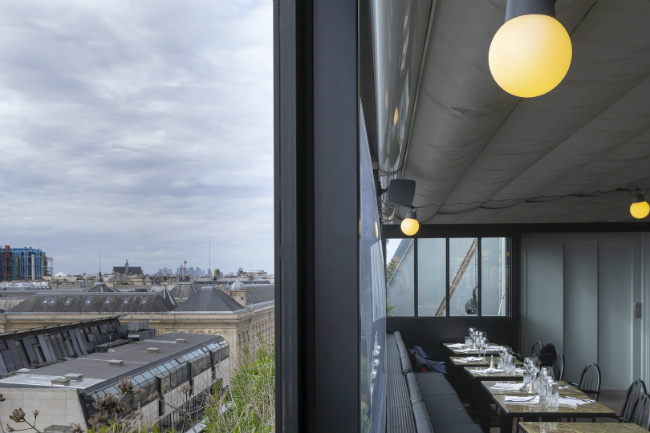 This spring, Paris’s Haut Marais neighborhood is looking up. The man responsible for Café La Perle, everyone’s favorite local haunt, has recently set his sights higher, all the way to Au Top. 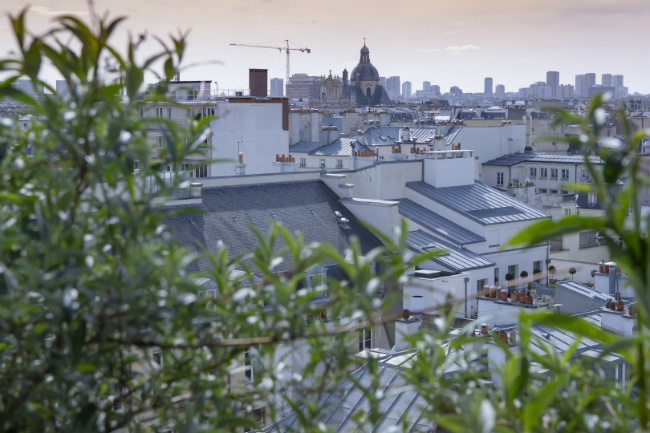 This discreet address overlooking Paris’s rooftops combines Jean Philippe’s passion for city life with the tranquility that only nature can provide. Set on the 7th floor of a building on Rue Vieille du Temple, Au Top is accessible via a private elevator and staircase just steps away from La Perle, featuring a spacious terrace inviting the outside in. 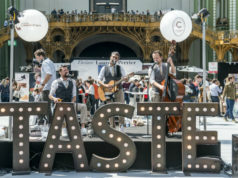 Come summertime, this al fresco restaurant allows for long leisurely brunches bathed in sunlight, and dinners illuminated by the golden hues of Paris’s ever-changing sky. 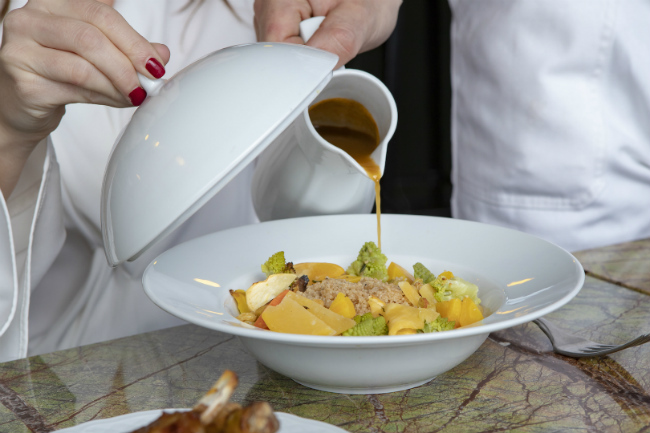 The seasonal Mediterranean inspired menu is certain to please every palate. In chefs Christophe Rousseau and Loïc Clee’s open kitchen, grilling takes precedence. 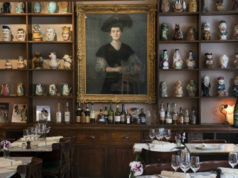 A vast selection of wines and cocktails will complement. 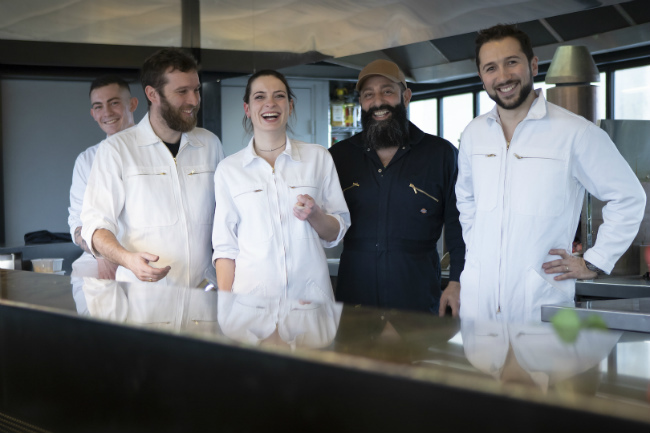 Starting with a selection of oysters from the Île d’Oléron, family-style shared plates include grilled angus beef tenderloin, royal sea bream and smoked tuna. 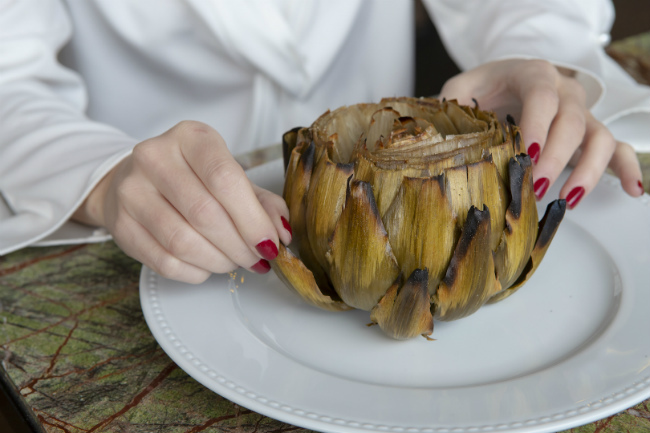 Plenty of vegetables, including artichokes roasted with olive oil and fleur de sel, will satisfy the vegans. Don’t forget the grilled bread! Sunday night’s homemade gluten-free couscous is made with quinoa semolina, the veggie option brimming with truffles. 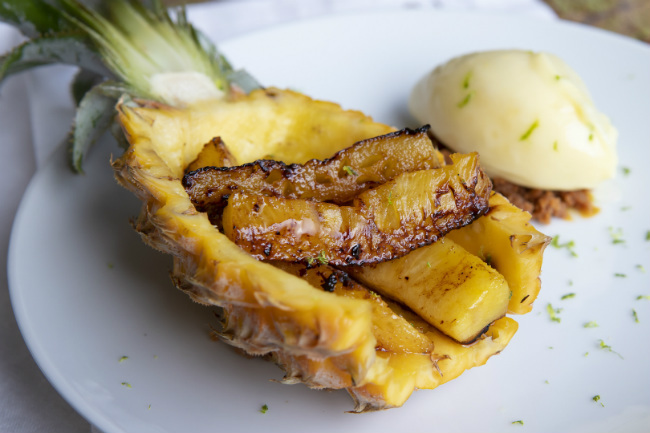 End the meal with a dessert of roasted pineapple. 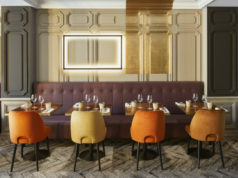 Take a seat for dinner with a view or enjoy the plentiful weekend brunch, but remember to book ahead.
. Tel: +33 (0)1 43 56 50 50. Appetizers from 9 euros, main plates priced from 22 euros. Open Monday to Friday 6pm-1am, Saturday and Sunday 9am-11:30pm, reservations necessary.